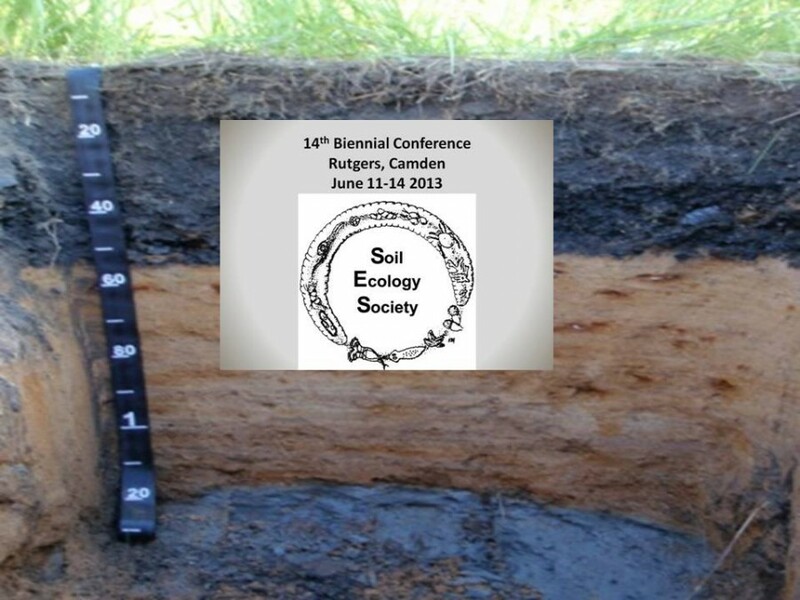 I got back from the Soil Ecology Society conference today, and can report that it was AWESOME! It was so fun being surrounded by so many people who are interested in the same things I am – people with strong opinions about which pools should exist in soil carbon models, the shortcomings of soil microbial biomass estimations, or why nitrogen often inhibits soil carbon decomposition. Meeting some of the top scientists in my field was very exciting, and the conference’s small format meant that you could easily talk with them, on the field trip bus, over a coffee break, or at the brew pub where the conference dinner was held. Hearing some really excellent talks about soil fauna made me remember how important they are to some of the processes that I care about. Researchers who study soil invertebrates deserve a lot of respect. I remember realizing in undergrad that a lot of ecology seems to involve counting things. (In my case it was apple blossoms, zooplankton, and then leaves.) Their dedication to learning sometimes challenging (and tiny) taxonomy, and, especially, to counting tens of thousands of organisms is admirable. I was excited to present my current research on BC-SOC interactions. Another benefit of a smaller, more focused conference is that one gets excellent, informed feedback during and after the question section of the talk. I definitely got a few good ideas for further interpreting my data. As well, it looks like a collaboration with a scientist whose work I really respect may come out of it, which I am really excited about! This was my first soil ecology society conference, but it definitely won’t be my last! Too bad they’re only every two years!